Key activities are the important things your business needs to do to run. It’s even more specific than that. Key activities are the key things that you need to do in order to deliver your valuer propositions to customers. 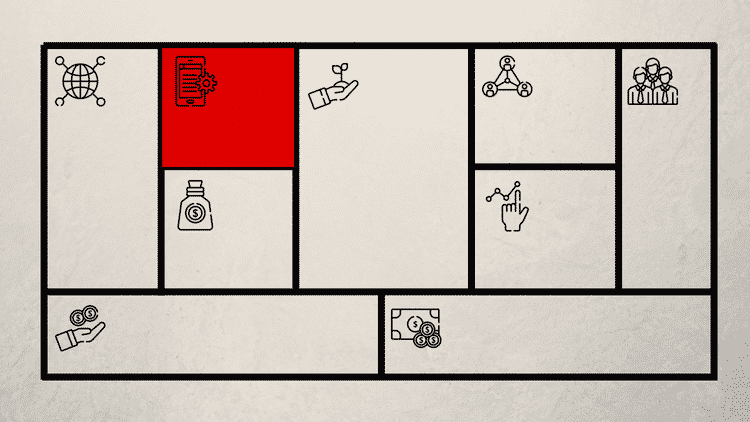 In this lesson we look at what key activities are within the context of the business model canvas and how to identify them and use them correctly. What’s the most important action to build your product or service? What’s most important to distribute your product and service? What Key Activities Do Your Value Proposition(s) Require? First of all look at your value proposition. What are the key things that you need to do to make it work. If you have a florist you need to buy the flowers, prepare them and deliver them. You also need to manage your promotional channels so that customers come to the shop. If out run a plastics factory your key activities are likley to revolve about maintaining production, keeping the operations safe and working out how to reduce costs and improve productivity to keep pace with market changes. Here there are many many more things that you could be doing. Key activities are the critical things that you absolutely must do in order to develop and maintain your competitive advantage. Small businesses and startups will often list tasks or processes at this stage because they are fairly simple. When you look at the business model of large enterprises that may comprise hundreds of companies and tens of thousands of employees the key activities need to be captured at a far higher level of abstraction. What Do You Have to do Everyday? What key activities do you have to do everyday? This is a really good approach for helping you to figure out what is a key activity and what is not. If you or your staff are doing the same activities every day then there is a good chance that they are critical for the delivery of the value proposition. For a supermarket (looking at the unit rather than the enterprise) restocking is a key activity. When customers go into the supermarket they expect to find goods on the shelves to buy. Without them the business model falls apart. For a company like Google the key activities are improving its code base and then examine all the data that it has gathered to help it improve search results and let advertisers sell better converting adverts. For a company like IKEA the key activities are optimising its logistic chain to ensure that every store has all the furniture that people in that market are buying. It also works on reducing the cost of its products so that it can maintain it’s market leading position in flat packed self assembled furniture. Is Your Business Based Around Producing or Making Something? Where a company is involved in making something the key activities usually centre on getting the raw materials, transforming them and then shipping or distributing the finished products. A dairy farmer’s key activities are feeding the cows, checking them for health, milking them and then storing the milk ready for collection. Nestle’s key activities (if we look at the Yoghurt product line) are collecting the milk, processing it into yoghurt, packaging it into containers and then sending it out into its distribution network. Space X’s key activities are all about designing and manufacturing ever larger rockets, building more effective rocket control and telemetry systems and selling orbital delivery services to its customers. The key activities tend to vary quite widely based on the type of customer and the manufacturing process used. Where manufacturing is continuous or mass sales tend to be a far smaller portion of the key activities as these are delivered by channels. When products are very large or highly customised then sales tend to be far more complex and take longer. Is Your Business Based Around Solving Problems for Customers? Companies which are problem orientated tend to have a different set of activities. These companies are often consultants, lawyers and other types of knowledge worker. A lawyer for example has client consultations, pleading and case law review as his critical activities. Activities such as billing are generally not key activities because these are common for all businesses and provide little competitive advantage. The deeper message of key activities is that these are the activities that provide competitive advantage. Case law review is something that all lawyers do. How can this be a key activity/ Can you do it faster? Do you have a better process for doing it? Is one of your key resources a software system that allows you to assess more cases than would be possible or feasible by hand. Problem solving business models are knowledge intensive. The key is understanding,in the business model, how this knowledge is obtain, processed and packaged to solve the customers problem. Is your Business Based Around Building a Platform or Network for Other People to Use? When we look at platforms what we are doing is analogous to providing a meeting hall for people to use. If it is a market place the meeting hall has to have tables for sellers to display their wares. It has to have all the facilities that buyers need to make purchases. When we look at the key activities we can see that there is often a build once – optimise continually process. Facebook for example was built once. Mark Zuckerberg only ever built one Facebook. Over time almost all the original code has been upgrade, expanded, replaced and optimised as the value proposition has changed over time. It’s tempting to just say build and optimise platform. That is doing too little work. What is far better is to delve down into the details and say – what is it about the way that we build and optimize the platform that gives us the amazing results?